While researching for my polka dot post, I was enchanted by all the fruity flavors of summer popping up in accessories. 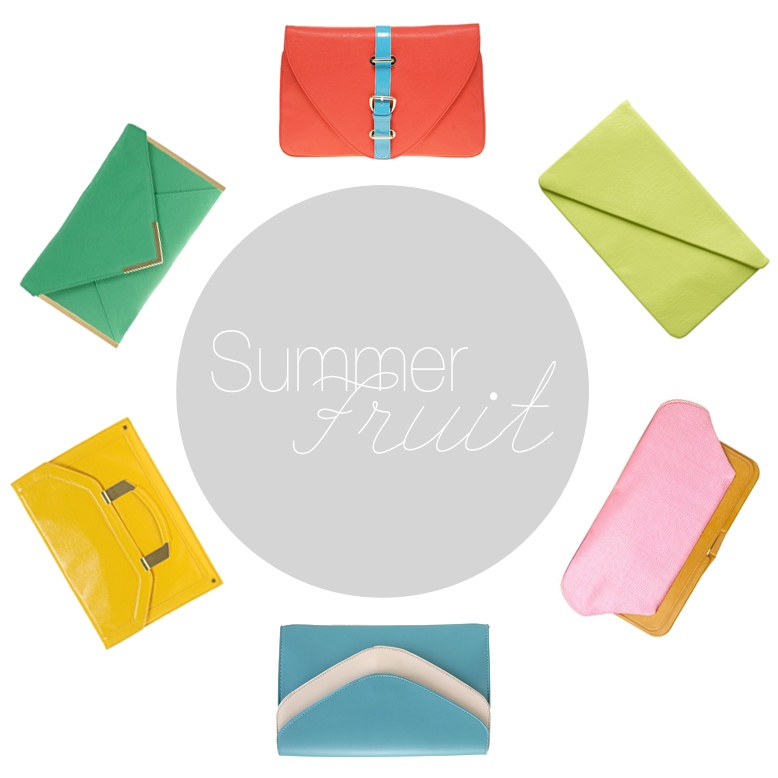 At the height of summer, its not too late to pick one of these ripe clutches. Any of these will serve as a yummy statement maker in your summer wardrobe, all under $35. Really, go for it! I have an orange clutch that I received as a gift (as I never would have been brave enough to buy it myself) and I use it constantly! Tis my love. That burst of color goes with everything.